The What: Matrox Graphics introduced Matrox MuraControl 3.0 for Windows video wall management software for Mura MPX-based video walls. The What Else: Top new features include the ability to render HTML5 feeds such as social media, weather, and stock market data, and the ability to add multi-lingual Unicode text overlays across individual source windows or the entire video wall. Matrox Mura MPX Series capture and display boards let integrators easily and cost-effectively build high-density video wall controller systems supporting custom video walls of almost any size. The boards feature highly flexible, universal input channel support for both digital and analog (DVI, RGB/VGA, component, S-Video and Composite) video signals plus exceptional-quality scaling, switching, and compositing of source content. Compatible Mura MPX analog video capture cards provide additional NTSC/PAL/SECAM input channel support and the Mura MPX-SDI board features two 3G SDI video inputs and two DVI outputs. Additional new features in MuraControl 3.0 for Windows include support for analog input capture adjustments, options for "signal lost" events that let the user define what appears on an overlay window when the source signal is lost or not connected and options for input auto detect filtering that let the user specify a source type. The Bottom Line: The Matrox MuraControl 3.0 for Windows software license is now available for purchase. The free 21-day trial version of MuraControl 3.0 for Windows is now available for download from the Matrox website. The Mura Network API and the lower level C/C++ style DWC API are now available to developers. 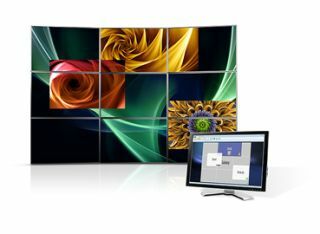 For more information, contact graphics@matrox.com.